Garage Doors Maintenance, Camarillo is one of the best in the business when it comes to the maintenance of garage doors. Customer satisfaction and contention combined with quality work and services is company’s motto. Any of these things lacking is simply not our way. Garage doors may look very simple and easy machines, but they have many complexities especially if they have electric opening. Garage doors are scientifically multifaceted machines and have to withstand to the weather or getting hit occasionally. This may lead up to some troubles, which need your immediate attention. The most common type of these problems is that the door may malfunction due to opener problems or broken springs and it will take great power to lift it or pull it back down. Sometimes the problem is simple and easily resolvable and sometimes it is more serious. If any such unfortunate thing happens, you must consult the garage door manual and if it is complex you should call us at Garage Doors Camarillo. If the problem is concentrated on damaged springs, you should call our professional experts immediately since the springs are placed under a lot of pressure and they can hurt you, if you try to repair them yourself. At Garage Doors Camarillo, we offer repair and maintenance services for both residential and commercial garage doors. We have unique 24 hour availability and fix doors on spot. Our team of technicians and seasoned professionals are fully trained and licensed to operate and maintain all types of garage doors. We have a full stock of spare parts of most garage door brands. We provide quality service and we fix doors thoroughly and instantly. The best work and the most superior quality require periodic adjustments and maintenance. 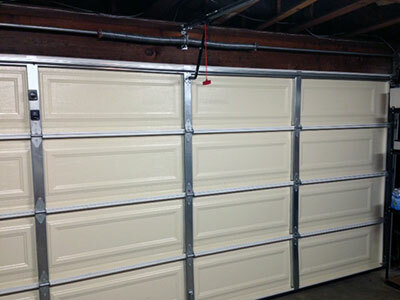 Garage Doors Maintenance Company Camarillo would advise you to check for maintenance after 10-12 months. Regular services would diminish the chances of major problems, which an unattended door may develop. Regular maintenance will also guarantee the longevity of your door and its stability on a daily basis. You must keep in mind that small problems, which you may ignore today, could cost you much more in the near future. After all, if you don’t let our experts inspect your door thoroughly, you will never know if the condition of your door is good or not. Our technicians can, on the other hand, focus on minor or major problems, give you an estimate and repair the damages quickly and professionally. The content that comes from serving the people of this wonderful city makes the job all more enjoyable and gives us the drive to continue for many years to come.